So today I’m excited to finally show you my Laundry room. 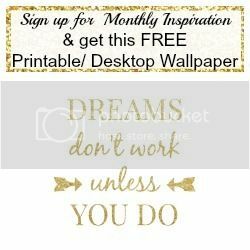 I was contacted by Danielle at Blissful and Domestic to do a You Tube Collaboration about a space in our home that we have decorated on a budget. My laundry room definitely fits that bill, its a DIYers dream. 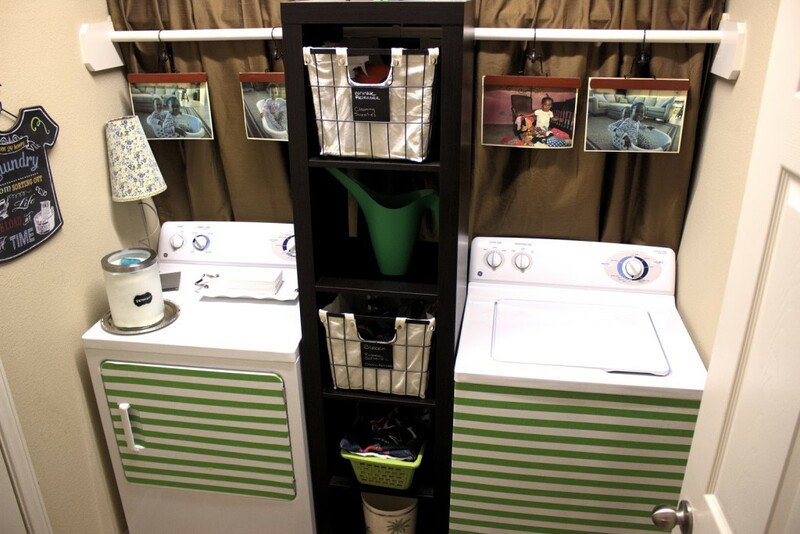 There were several projects I did in the laundry room that not only were cheap but came out beautifully. I hope you enjoy the video tour below! Don’t forget to check out the other 8 collaborators videos as well. This is one of my most viewed posts on the blog and for good reason. It gives a big impact for practically no money. We have the old school washer and dryer and with the help of some Frog painters tape I was able to really add big impact in my room. I already had the frog tape from a painting project so this project was free. You could also use electrical tape or washi tape, or do chevron or polka dots, get creative! I’ve done a video showing you step by step how to achieve this pegboard beauty. Simple easy project, I just snapped some pics of the twincesses helping me with laundry aka jumping in and out of the laundry basket. 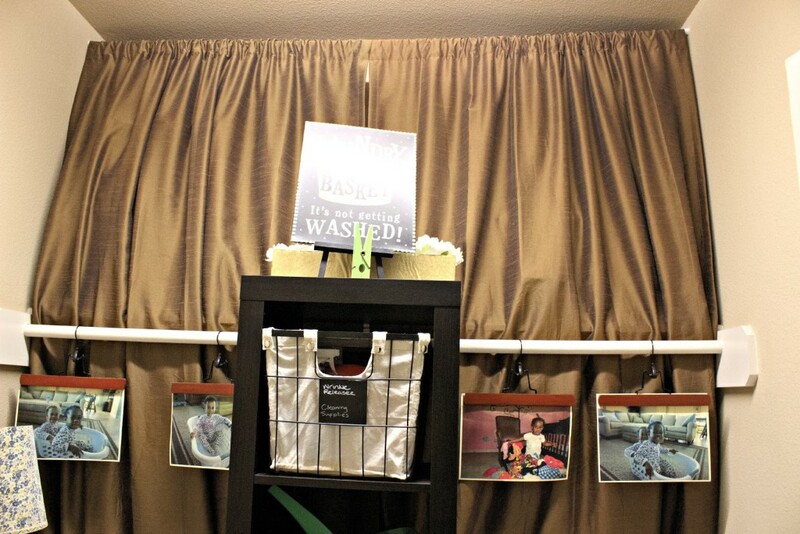 I printed out the pics and then put them in a pants hanger. This project was essentially free cause I had the hangers already. In an ideal world I would turn this area into cabinets for even more storage but cabinets are expensive, I still use that area for storage but its not pretty. So i decided to use a tension rod and some old drapes and hang from the ceiling. Simple to open and get when we need to and no matter how disorganized that area looks the drapes look elegant and pretty for practically no money. 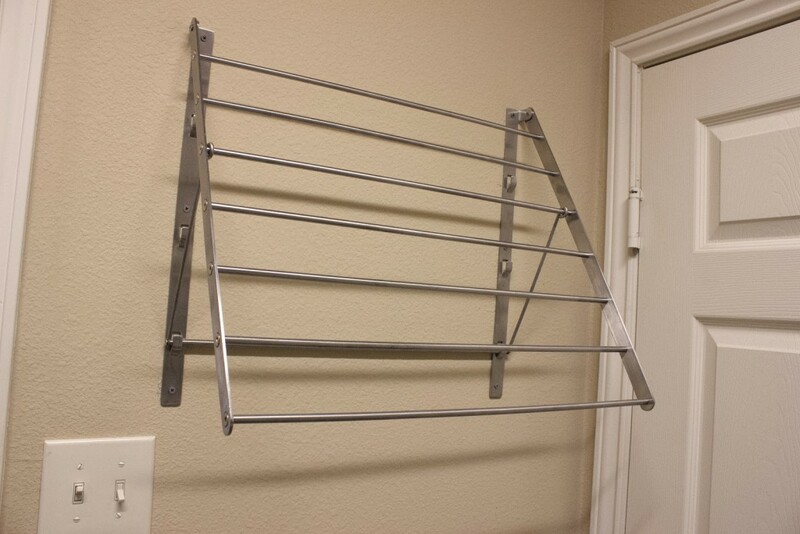 I wanted a cute dryer rack but because my laundry room is so small I needed something wall mounted. Ballard Designs has an amazing one but its so expensive. I picked up this cheap one from Ikea and it works great! I planned to paint it but never got around to it. I thrive on making the everyday pretty. Most of the time I make my own laundry detergent as I’ve shown you in a previous post and I display it in a cute jar. Even the times when I purchase detergent I still display it in my cute, yet cheap Ikea jar. The jar is also sitting on a pretty silver tray from dollar tree! I also like to display my dryer sheets on this cute white tray I found for 5.99 at Ross. 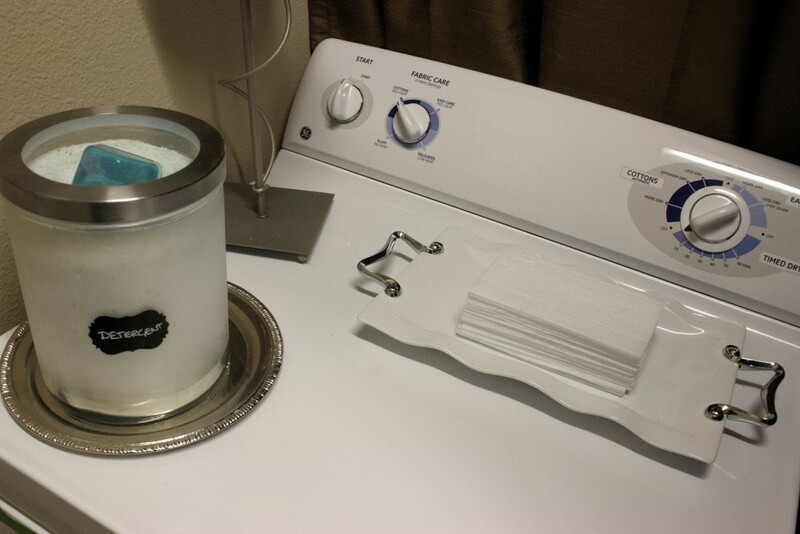 And actually the dryer sheets act as a room deodorizer, the whole room smells good because of them. These are just some of the projects in this room, check out the video to see a full tour! 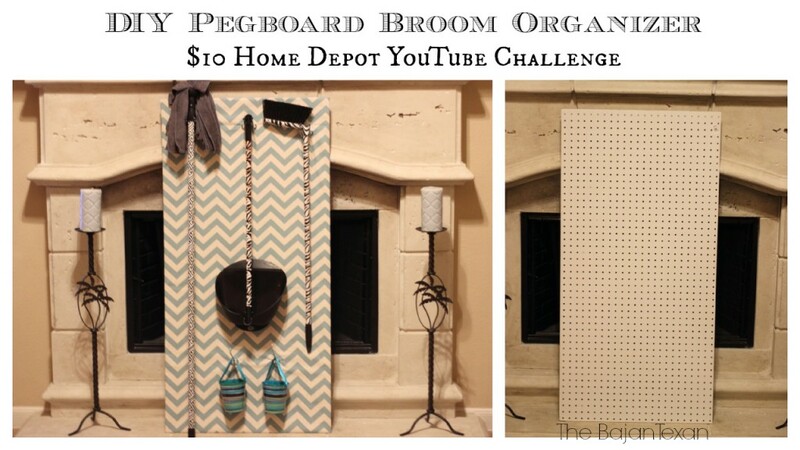 Be sure to check out the other ladies who are collaborating on this YouTube Challenge and showing you cheap decorating ideas!